Selected Villas for rent near June’s Art Cafe (Koh Samui) - Contact us now! June’s Art Cafe boasts a quaint and cosy setting. 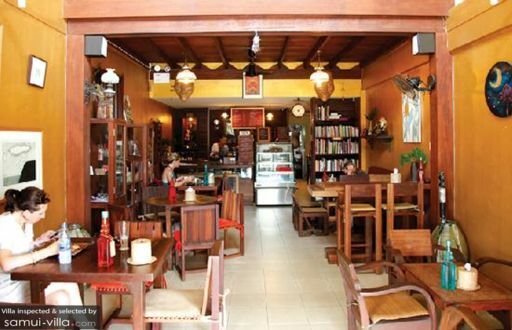 Art pieces adorn its walls, and one will find charming handicrafts for sale displayed within the cafe. Visitors can expect to find an array of sumptuous food with pocket-friendly prices. The cafe is well-recommended as a brunch spot. Whichever time of the day you choose to dine at the cafe, be sure to end your meal well with a decadent slice of raw chocolate cheesecake. Apart from tasty fare, June and her team also charms customers with their warm and welcoming service.